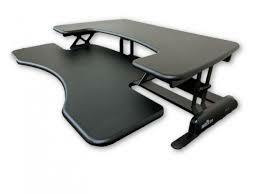 Investing in office ergonomics will help create a healthy, productive, and motivated work environment. A: Ergonomics is the science of fitting the task to the worker in order to maximize productivity while reducing discomfort, fatigue and injury. For many years, companies have followed a one-size-fits-all approach for furniture purchases and office design, and then asked their employees to adapt to their current work setup. 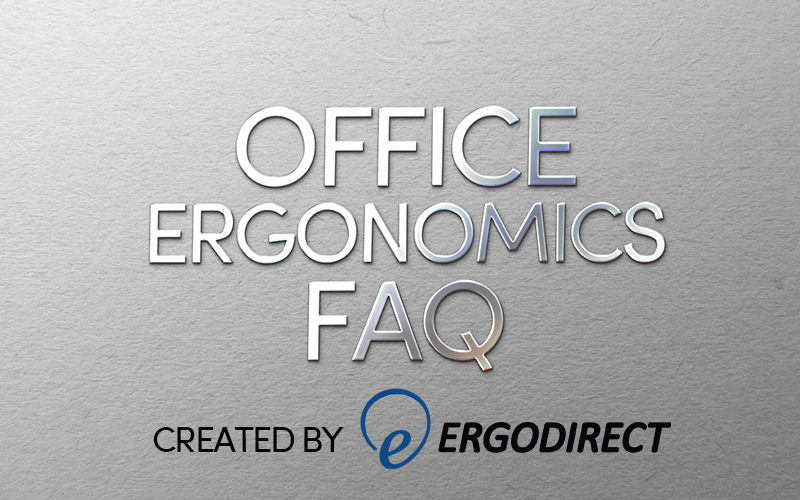 Q: How do I make my workplace ergonomic? A: Facilities and human resource managers will have to do more than order an ergonomic desk or chair. It is equally important to educate the user on proper equipment use. Follow-up this initial education with check-ins to ensure ergonomic principles are still being followed. This way employees can build healthy habits. The following elements of office ergonomics, along with timely education, will enable employees to work at maximum productivity without discomfort, fatigue and injury. 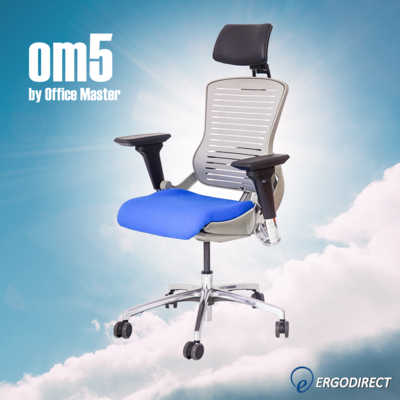 An ergonomic chair is the building block of a healthy workstation. 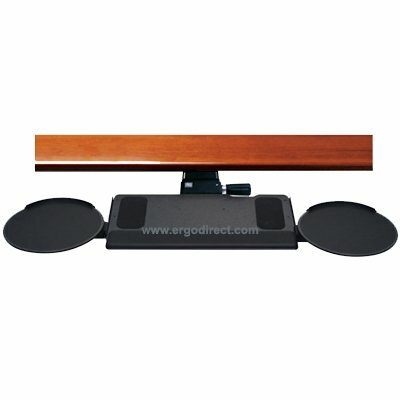 Start with a highly configurable chair so it can adapt to your unique body type. Then build the rest of the workstation around it. Q: What makes a chair “ergonomic”? 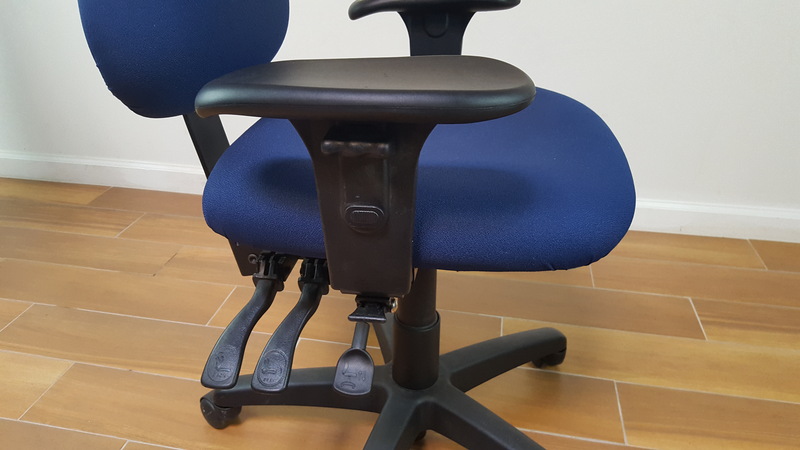 A: An ergonomic chair should offer several adjustments including seat height and back height adjustment: the seat pan must adjust back and forth for perfect seat depth; a lumbar adjustment supports your lower back and; chair tilt is adjustable in order for you to maintain perfect seat angle in relation to the floor. Some newer ergonomic chairs naturally contour to your body, making mechanism adjustments unnecessary. Q: How do I properly configure my office chair? Both feet are placed directly and securely on the floor, not dangling on the foot ring. Thighs are parallel to the ground. Adjust the back seat mechanism to lean back and support the spine. Open the chest and relax the shoulders while making chair adjustments. 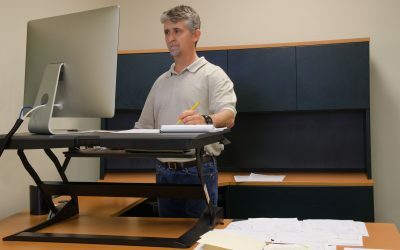 Our next blog about elements of Office Ergonomics will feature Standing Desks! Please contact us for more information or to learn about setting up a free ergonomic chair consultation!